Work to repair the east-facing sea wall by the Hamilton Ferry Terminal and at the Flagpole area on Front Street will commence on Monday, February 12th, and is estimated to be completed by April 20th, 2018, the City of Hamilton said today. Repair work will be carried out from the waterside via a barge as well as from land. The City said, “During this time, Tour Boat Operators and the boating public that may utilize these areas must make alternate docking arrangements. “Alternate locations may include Albuoy’s Point, Barr’s Bay Park and #1 Dock. 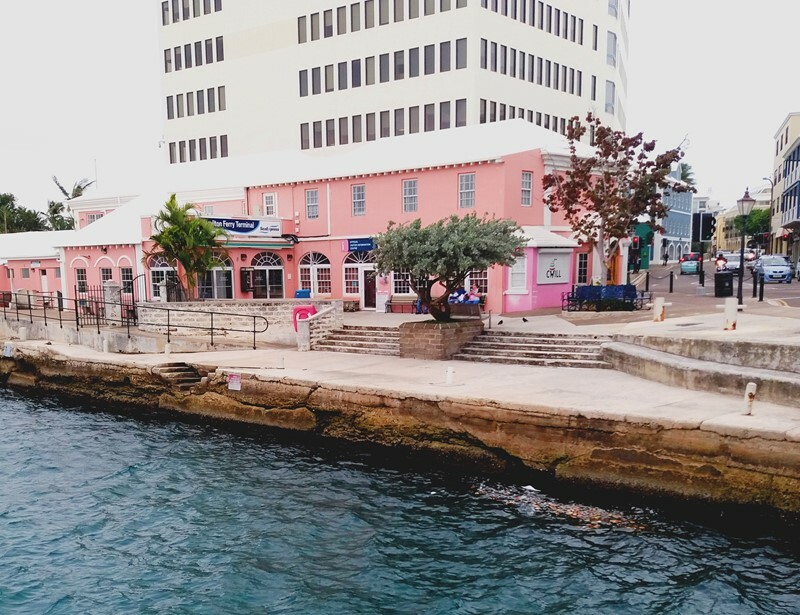 The repair work is not expected to have an impact on the public ferries and alternate docking for the Dockyard-to-Hamilton cruise passenger tenders will be secured. “Boat operators using the alternate docking locations are reminded that there is a one-hour maximum time limit for loading and unloading their vessels. A lot of criticism towards the Corporation of Hamilton but there cash strapped too. All the reckless decisions and deals from the other jokers who ran town ‘down’ are at fault.